It is time to announce the winner of our most recent Rigging Puzzle. But first I’ll mention that if you’d like to see previous puzzles, along with a whole bunch of essays and reports from the field, be sure to visit our Blog. 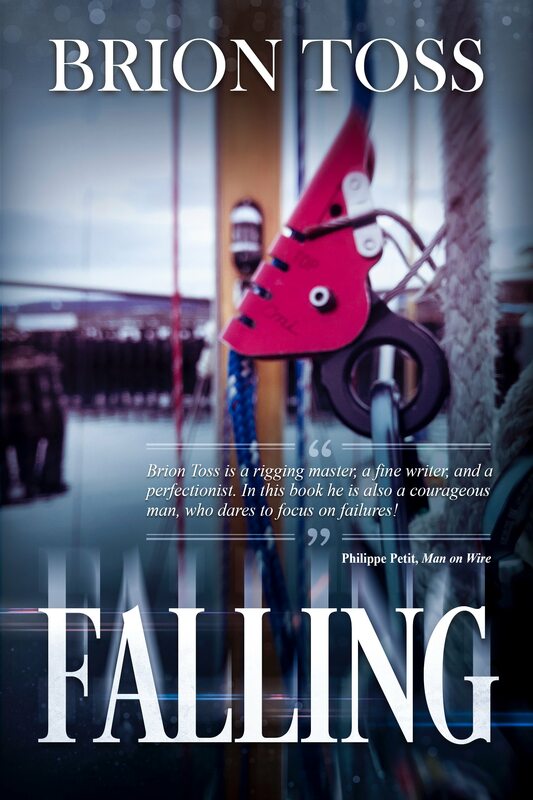 And you might also want to take a look at our Front Page, where, in addition to information on rigging services, you can find details on upcoming events, including our 3-day rigging classes, the Seattle Boat Show, a link to our catalog, and news about an upcoming trip to Tasmania. Okay, on to the Puzzle! Last week’s challenge drew a near-record number of entries, from people in a wide variety of rigging interests. You folks are obviously enthusiastic about loading up hardware. To see the Puzzle, click HERE. 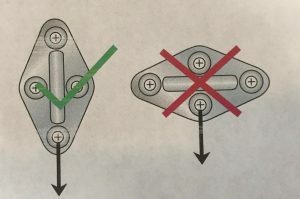 In the real world, slightly off-angle loads can be difficult to avoid, but they must be minimized, and the puzzle’s arrangement #1 is definitely bad for fixed padeyes. Note that the smiley faces apply whether the bail is angled in either direction; I take this to mean that the difference in strength might not be all that significant, despite Harken’s advice. 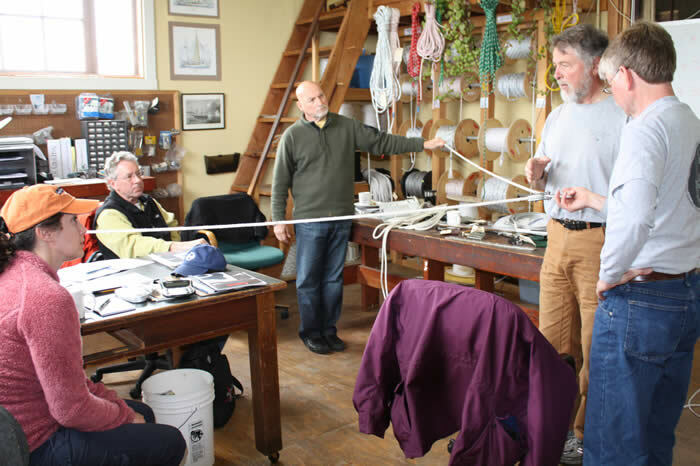 The lower right frowny face tells us it is a bad idea to pull in line with the bail on a folding padeye, and this agrees with Harken’s recommendation. 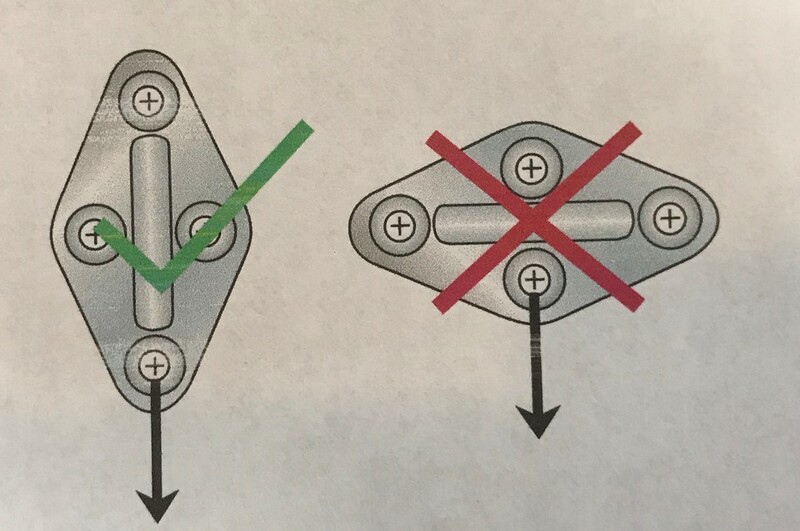 The idea here is that you would be applying a point load on one side of the fitting, instead of a long bearing along the length of the hinge. This is the pull shown for the folding padeye in arrangement #2, so that one is out. Note also that the upper right frowny face calls our attention to the fact that there is a limit on how far the bail can articulate towards the two-fastener side. Go too far, and the bail crunches against the base of the padeye, producing some very unfavorable leverage, torque, and point loading. 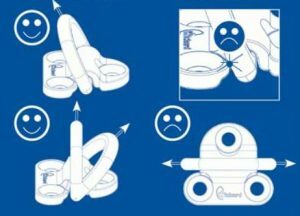 Therefore, when you are installing folding padeyes, see if there is an articulation limit on one side or the other, and then install it so the side with the greatest range of motion is facing the most likely range of load angles. If you have an application where you might need full articulation in both directions, you need a different padeye. In the first iteration of the Puzzle, I had the bail right down at the base of the padeye in arrangement #3, and sharp-eyed readers Ken Ferrari and Robert Salnick saw this. The second version of the pictures showed the folding padeye on the fully-articulating side, and no one was disqualified because of this detail. The upshot of all this is that arrangement #1 is good for the folding model, but bad for the diamond, and the opposite is true for arrangement #2. The correct answer, then, is arrangement #3. Congratulations to all of you who chose #3. And congratulations likewise to everyone who gave it a shot. Our winner, randomly selected from the pool of correct entries, is … Tom Dixon! Congratulations, Tom. 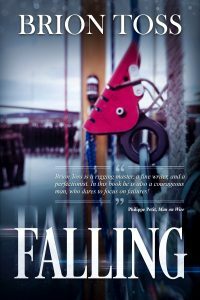 Let me know which version of Falling you would like to receive — print, audio, or ebook — and what circumference and rope diameter soft shackle you would prefer. For everyone else, thanks for all of your thoughtful responses. If you didn’t win the drawing, but want a copy of that book, it is available from Amazon as well as iBooks. If you would like an autographed print copy, be in touch with Sue at our shop, by writing to catalog@briontoss.com. Hi Brion what a pleasant surprise. I’d like the ebook version please as I’m in the UK and as for the soft shackle I’d like to gift it to whichever keen youth who you think deserves it in your area.